I have spent the last thirteen years travelling to every continent on the planet to document the impacts of climate change and the rise of renewable energy, the only living photographer to have done so. This epic journey involved visiting over thirty countries and took me from nearly 300 feet below sea level in Death Valley to 18,000 feet above, in the Bolivian Andes, from 500 miles from the North Pole, to the Antarctic Peninsular, from remote Pacific Islands to the Chinese/Russian border. Along the way I documented extreme weather, flooding, drought, permafrost melt, glacial retreat, sea level rise, sea ice retreat, impacted communities, impacted plants and animals, food security, forced migration, all types of renewable energy, and much much more. It all started off in the early part of this century when I started reading about climate change in scientific journals. I decided to do a specific climate change photo shoot, which was to spend a month in Alaska. I planned to cover glacial retreat, permafrost melt, forest fires and had a week on Shishmaref, a tiny remote island between Alaska and Siberia. Shishmaref is home to around 800 Inuits. Their mainly hunter gatherer lifestyle meant that they had a tiny carbon footprint. I was to learn something on Shishmaref, that I have seen many times since in my travels, and that is those that are least responsible for climate change are most impacted by it. The problem on Shishmaref was that the sea ice that used to form around the island in late September, was not forming till maybe Christmas time. Any early storms hitting the island before the sea ice had formed, were knocking great chunks out of the land and tumbling the Inuits houses into the sea. Even in 2004 it was obvious the Arctic was warming very rapidly,, and the many impacts of climate change were blindingly obvious and in your face. I returned from Alaska determined to do more. My second photo shoot was to the remote island Nation of Tuvalu, in the Pacific Ocean. More people climb Everest every year, than visit Funafuti, one of Tuvalu’s main islands. These low lying coral atop islands are extremely vulnerable to sea level rise. I had planned my trip for the highest Spring tides of the year. At high tide the middle of the islands were in places four feet under water. Tuvalu will probably be the first country to completely disappear as a result of climate change. It wasn’t long before I decided I should try and document the impacts of climate change on every continent. Something, that thirteen years on I have achieved. Following a successful crowd funding program, I have just published “Images From a Warming Planet”, a 416 page hardback, art photography book containing 500 of the best images from my epic journey around the planet. The book has come out to amazing reviews and is on sale now. You can read the reviews and see around 100 of the pages online , as well as purchase the book at http://www.imagesfromawarmingplanet.net Jonathon Porritt who wrote the foreword for the book called it "An extraordinary collection of images, and a powerful call to action". The journey was not without its dangers, I came close to falling down a crevasse on the Greenland ice sheet, and narrowly avoided being avalanched in the Himalayas. I suffered intimidation and hassle at every turn, including arrest by the Chinese Army, threatened with arrest by the Royal Canadian Mounted Police if I so much as took one step off the highway, whilst documenting the tar sands. I have been stopped and searched by the police on countless occasions, including being tailed by four Metropolitan Police Officers for seven hours whilst documenting the climate camp at Heathrow. My last photo shoot to Bolivia, ended in a head on collision which wrote off my hire car, and resulted in the hire car company locking me in a hotel, and trying to defraud $50,000 from my credit card. As my book when to print, I heard that the residents of Shishmaref had taken the unprecedented step of voting to leave their island home. It is simply getting unsustainable to continue to live there, as every more and more of the island disappears under the waves. They hope to set up a new community on the mainland of Alaska, but the US government will not provide the funding to do so. Emmissions from a Petrochemical works at Seal Sands on Teeside, UK. Human civilisation developed and flourished at a time when there were 250 ppm CO2 in the atmosphere, today through burning fossil fuels we have pushed this up to 407ppm. 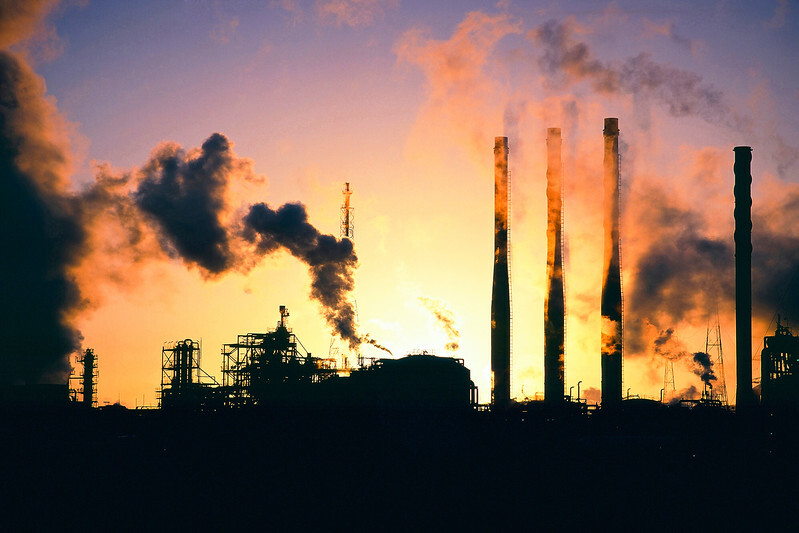 Scientists reckon a relatively safe upper limit is 350 ppm. An RAF Sea King Helicopter prepares to drop salvage experts onto the Riverdance washed ashore off Blackpool. The river dance was one of 3 ships lost that day off the UK. The ship was hit by a huge wave that shifted the vehicle cargo on the decks causing the ship to list violently. 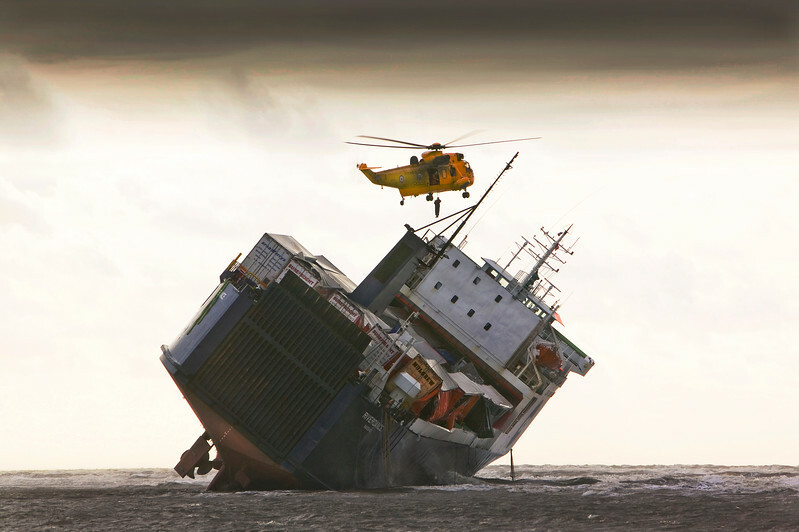 The crew were airlifted off by RAF helicopter before the ship ran aground. As climate change takes hold more and more damage is occuring as the weather becomes more violent. This is costing the insurance industry dear. Last year in the USA alone there were 15 severe weather events that cost over a $billion with the total for the USA last year around $350 billion. Boy am I getting wet, suffering for my art. The main street of Cockermouth five feet underwater, with flooded cars, Cumbria, UK. Cockermouth was flooded in 2005, in 2009 when this image was taken and in 2015. 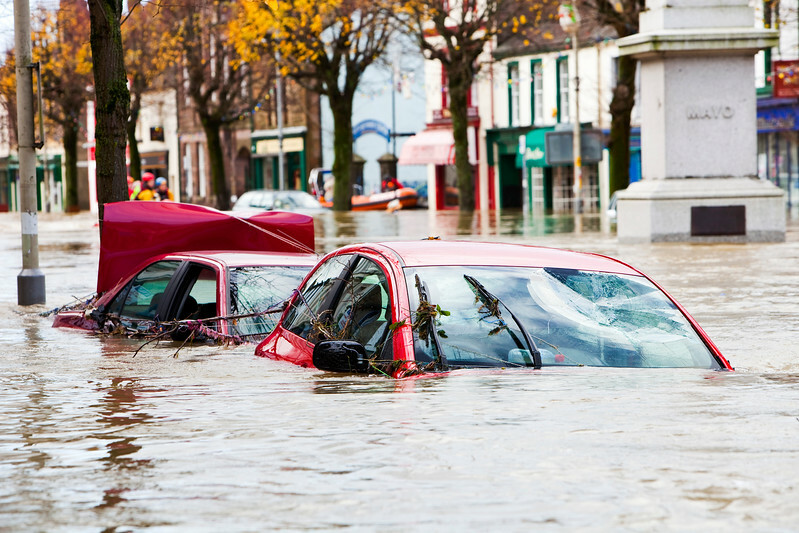 After the 2009 floods the Environment Agency spent millions building flood defences for Cockermouth and told the residents they would protect them form a once in a hundred years storm. Four years later they were completely over topped by the Storm Desmond floods. 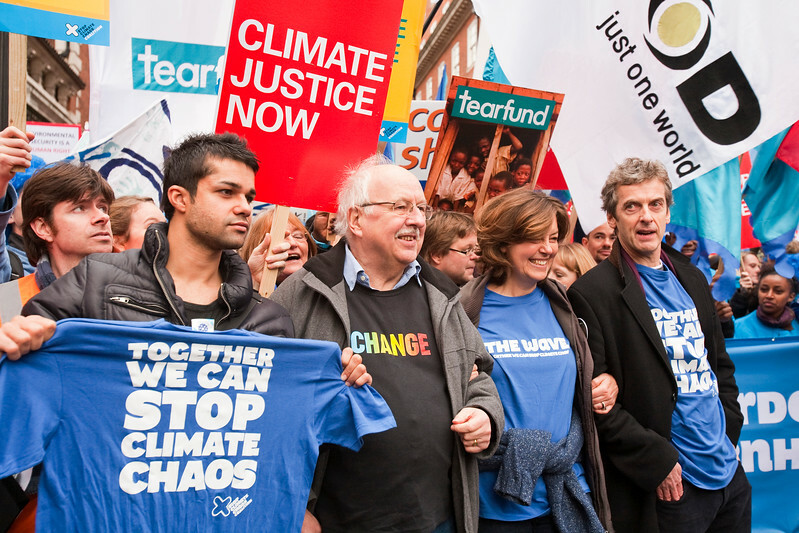 Celebrities including the actor Peter Capaldi and the former BBC weatherman Michael Fish join the Wave climate change protest rally in London. Where has all the water gone. 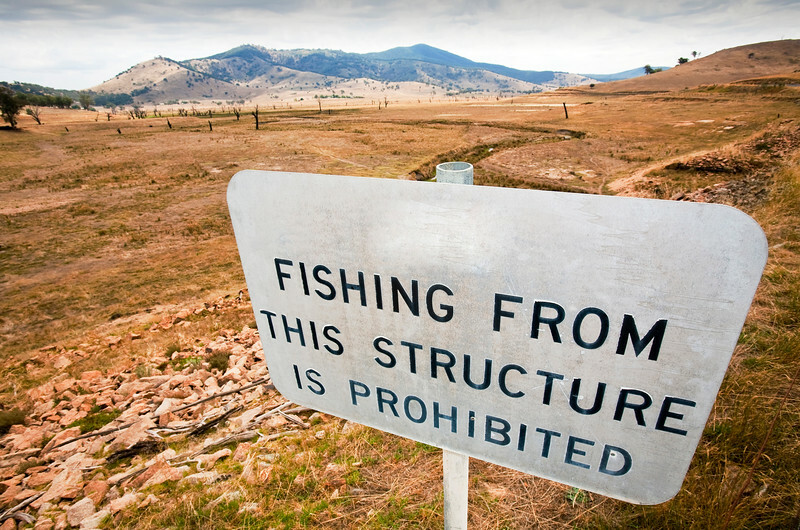 Lake Hume is the largest reservoir in Australia and was set up to provide irrigation water for farms further down the Murray Basin and drinking water for Adelaide. On the day this photograph was taken it was at 19.6% capacity. By the end of the summer of 2009 it dropped to 2.1 % capacity. Such impacts of the drought are likely to worsen as a result of climate change. The last time the water was anywhere near this road bridge was 10 years ago, rendering this no fishing sign, somewhat redundant. 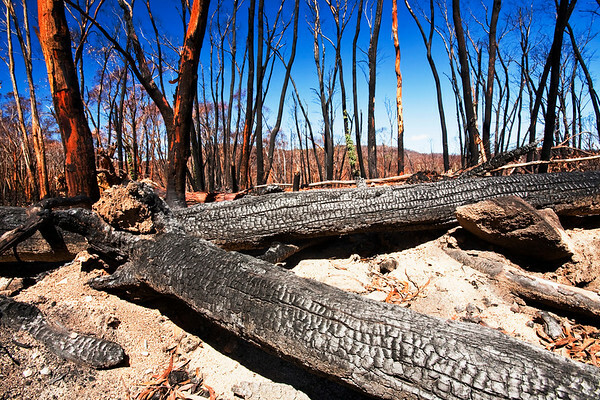 Forest destroyed by bush fires near Michelago, New South Wales. Every year now around the planet an area the size of India goes up in flames. One of the many feed back loops that is exacerbating climate change. As the forests burn they release all their stored carbon back into the atmosphere. 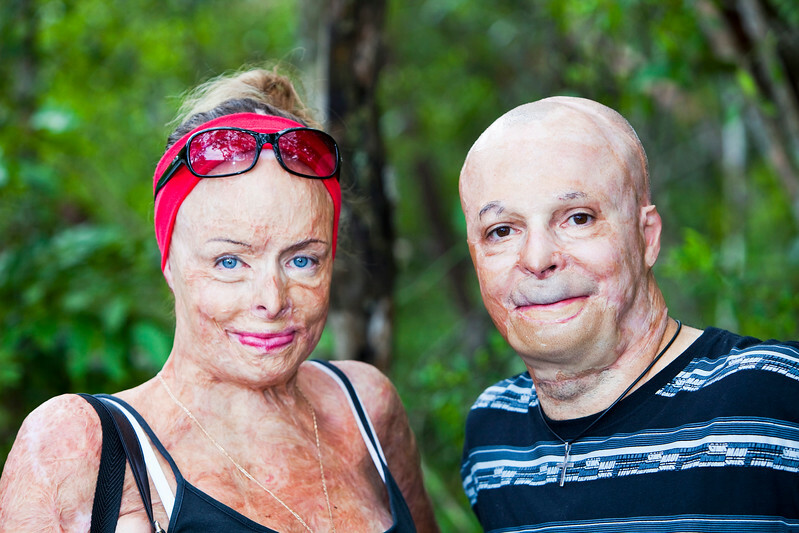 Grazi Lisciotto and friend who were horribly burned in house fires. They now work for the Peter Hughes Burns Foundation in Australia providing counselling and support for the victims of the bush fires. Massive dump trucks queue up to load with tar sand in front of a toxic wasteland. For McMurray, Canada. 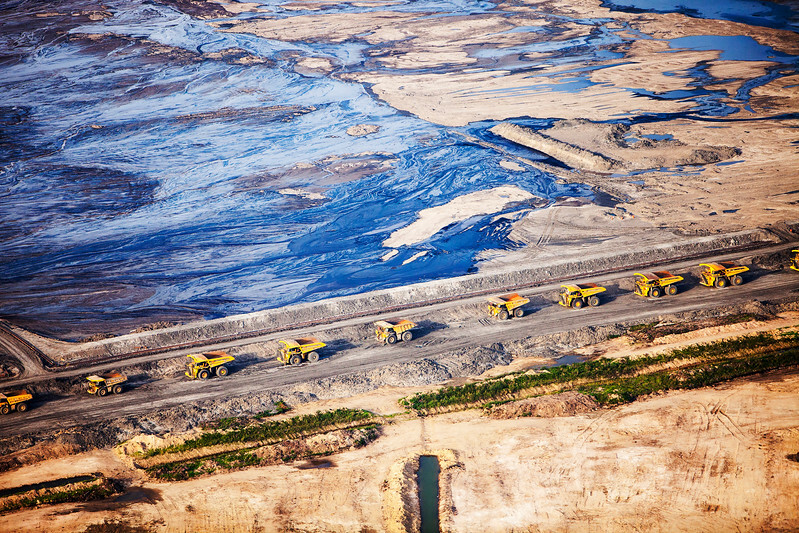 The tar sands are the largest industrial project on the planet, and the world's most environmentally destructive. The synthetic oil produced from them is up to five times more carbon intensive than conventional oil supplies, a disaster for the climate. They are responsible for the second fastest rate of deforestation on the planet. They produce millions of litres of highly toxic water every day which leaches out into the Athabasca river and has serious health impacts on First Nation peoples living downstream. The Canadian government who are making $billions out of taxing this environmental crime do not like the world to know what is going on. The whole time I was in the tar sands I was followed by security guards, and threatened with arrest by the Royal Canadian Mounted Police. The Athabasca glacier is receding extremely rapidly and has lost over 60% of its ice mass in less than 150 years. 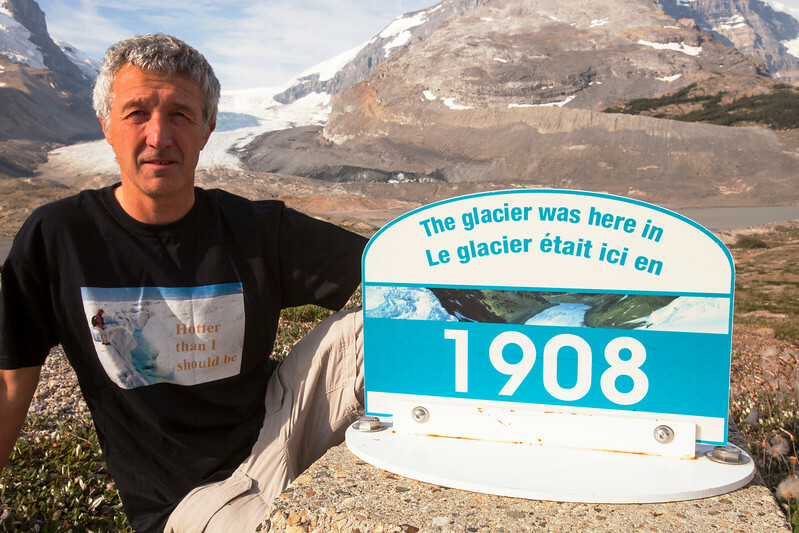 A sign marks where the glacier stood in 1908. The author wears a protest T shirt in the foreground. 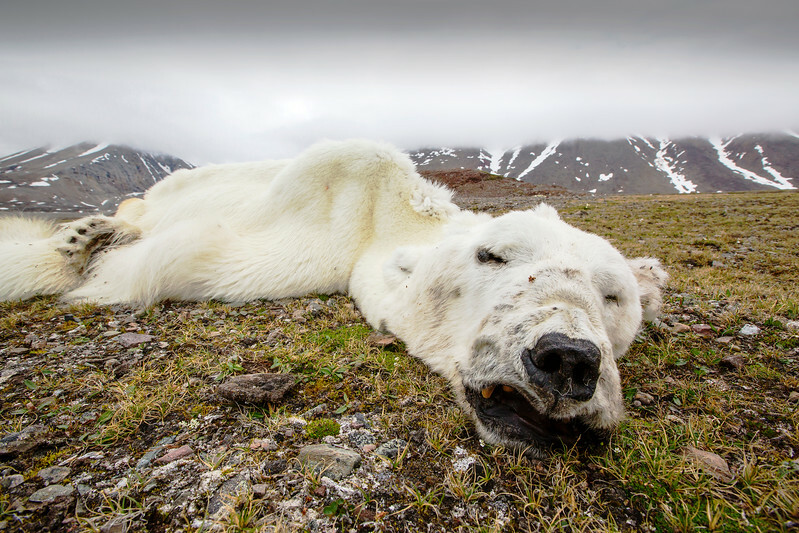 A Polar Bear (Ursus maritimus) that starved to death as a consequence of climate change. This bear was last tracked by the Norwegian Polar Institute in April 2013 in southern Svalbard. Polar bears need sea ice to hunt their main prey, seals. Western fjords of Svalbard which normally freeze in winter, remained ice free all season during the winter of 2012 /13, one of the worst on record for sea ice around the island archipelago. This bear headed hundreds of miles north, looking for suitable sea ice to hunt on, finding no suitable sea ice, finally exhausted, it collapsed and died. The future for Polar Bear looks bleak in a climate changing world. Recent scientific studies show that Polar Bear are getting thinner and weighing less due primarily to less time to hunt in the winter and a longer fasting period in summer. Without sea ice, they will no doubt all starve to death. Part of the Tehachapi Pass wind farm, California, the first large scale wind farm area developed in the USA. 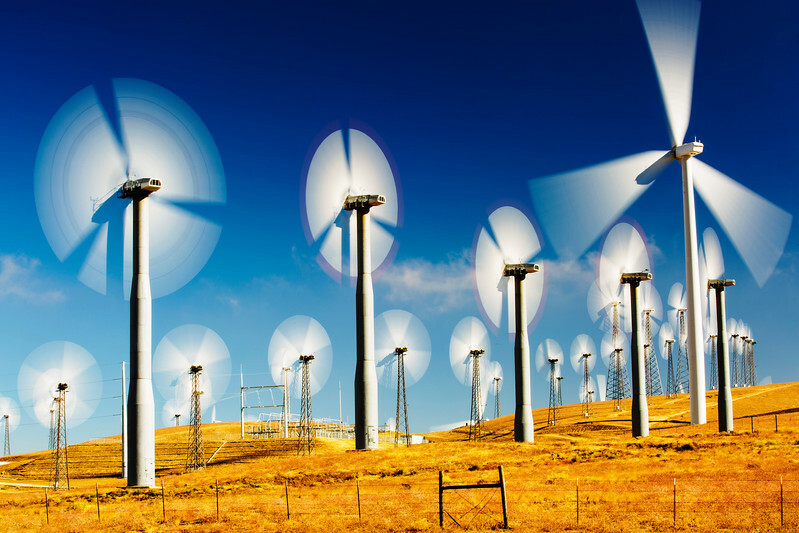 We know that we can power the whole of the planet using renewable energy. 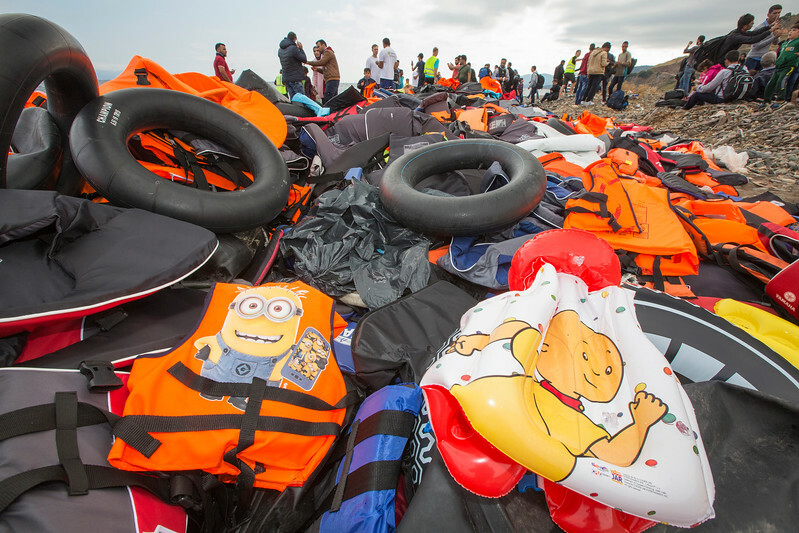 Syrian migrants landing on the north coast of Lesvos at Efthalou, surrounded by a sea of abandoned life jackets.